the humungo bathtub in the master bedroom! 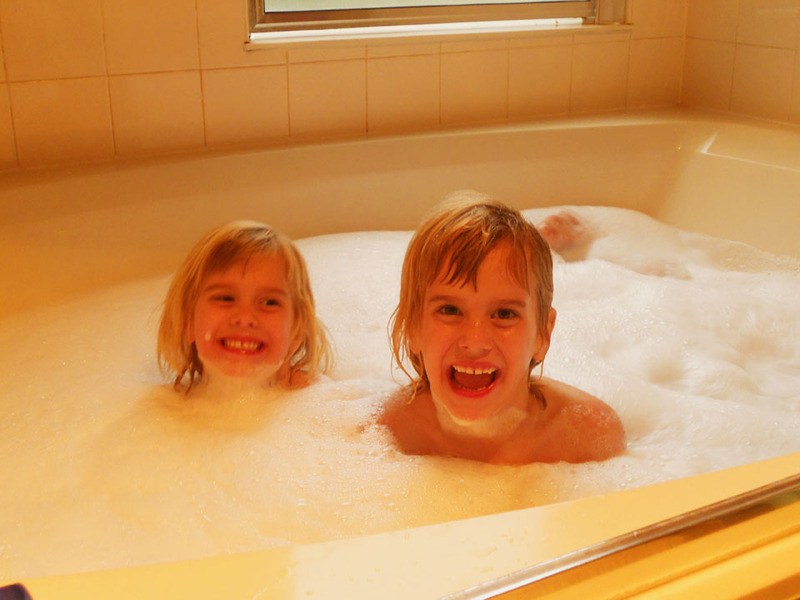 Never before have the girls asked multiple times during the day, “Can we take a bath yet?” The tub is so huge their friend P. and cousin A. joined them for an hour of water and bubble play this weekend. When I heard they had stayed back to do that, I almost fell down with happiness. That’s called going above and beyond! And what a relief it was because I wasn’t sure when I would have time or where I would find the energy to do either of those things.